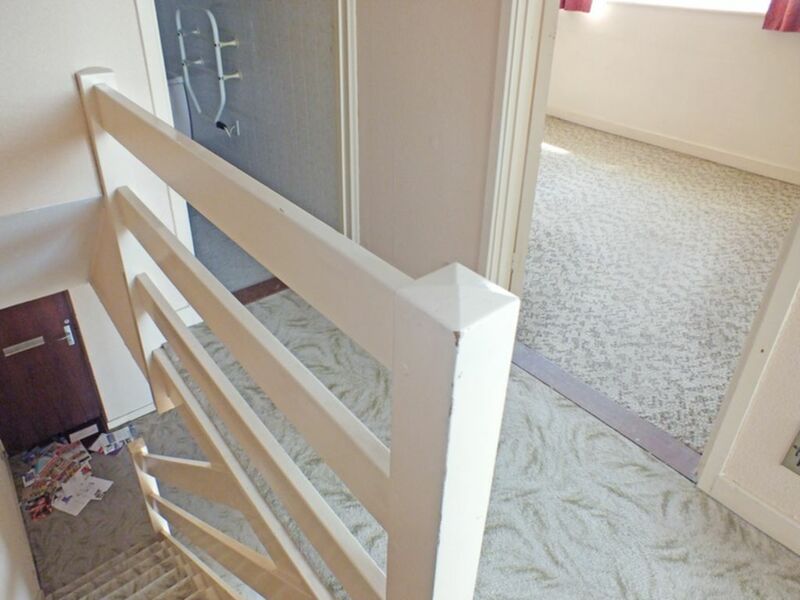 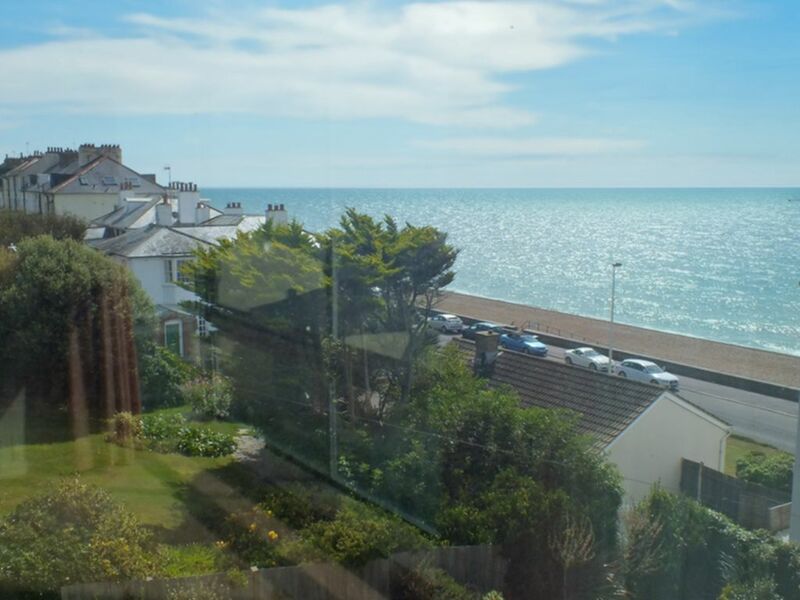 This excellent refurbishment opportunity maisonette benefits from a south and east facing corner position within a purpose built block in an elevated location above Sandgate Esplanade and in particular with lovely panoramic views from Sandgate village over the English Channel and towards Hythe bay to the west. 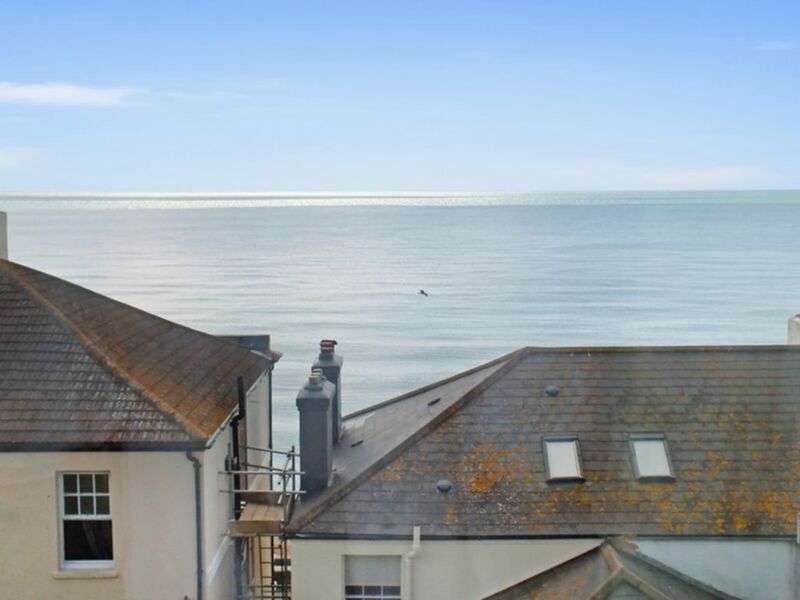 Sandgate village is within half a mile seafront walking distance whilst Hythe and Folkestone are both approximately 2 miles away. 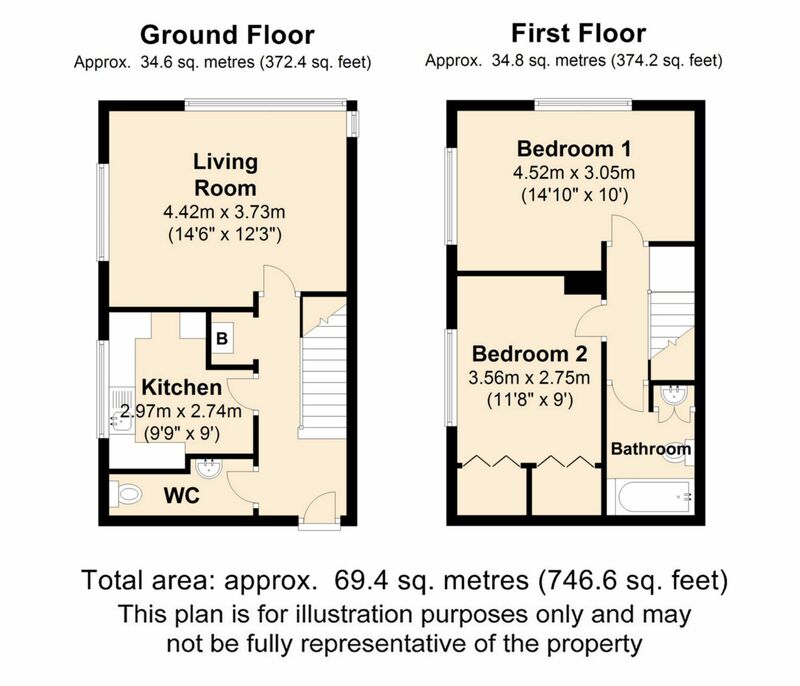 High speed rail services for London (57 minutes) are available from Folkestone West and Folkestone Central Stations. 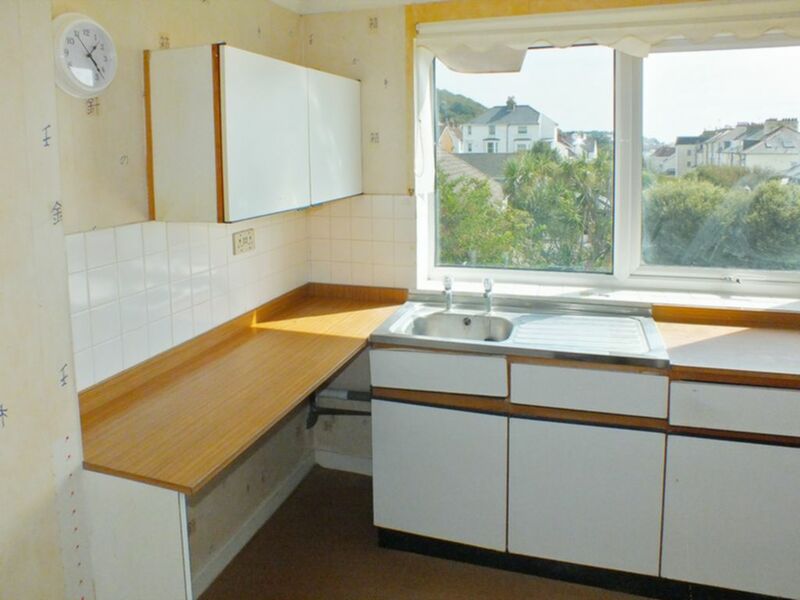 Having upstairs cupboard, separate cupboard housing original gas warm air central heating boiler. 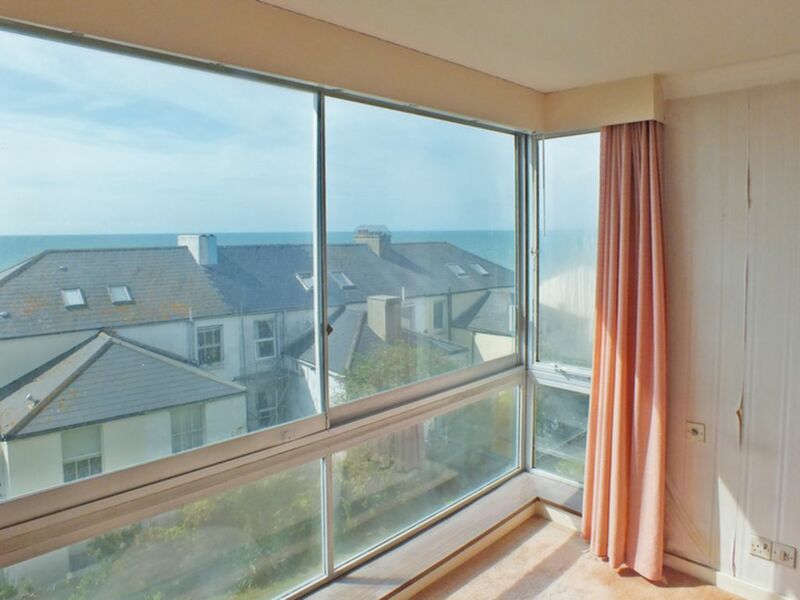 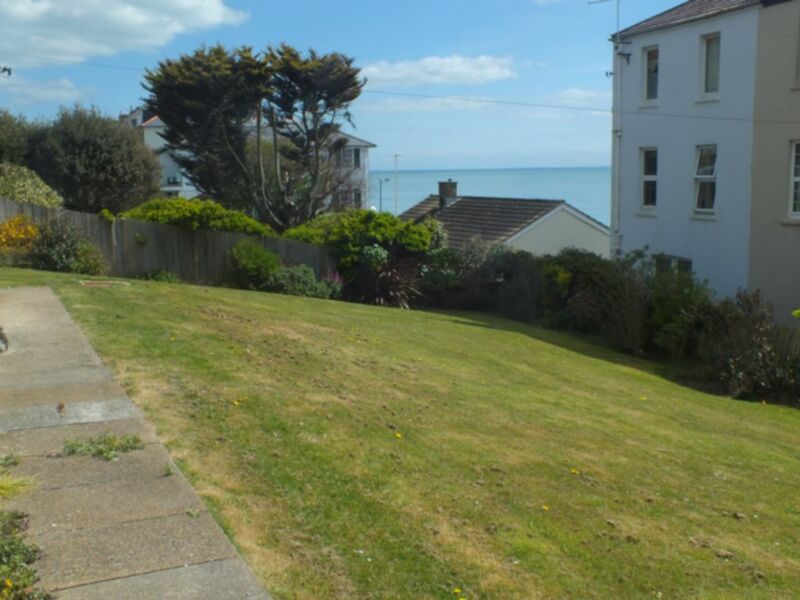 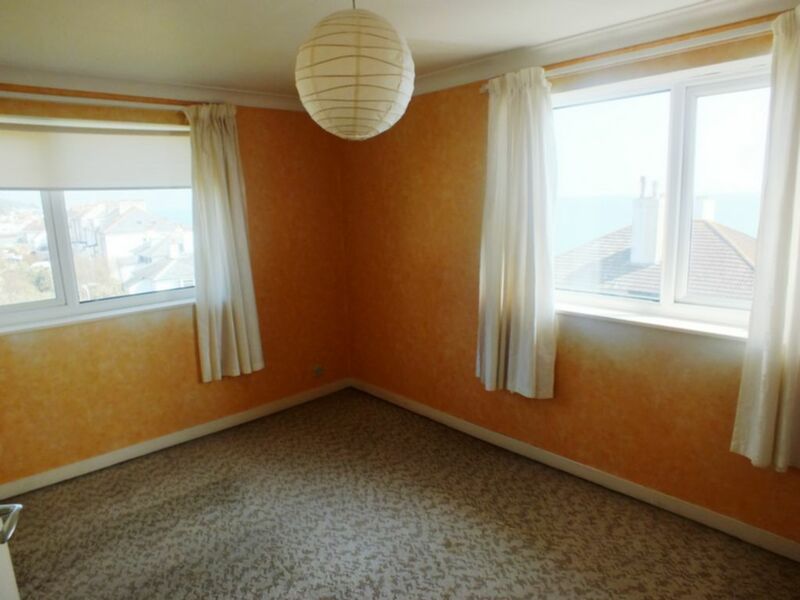 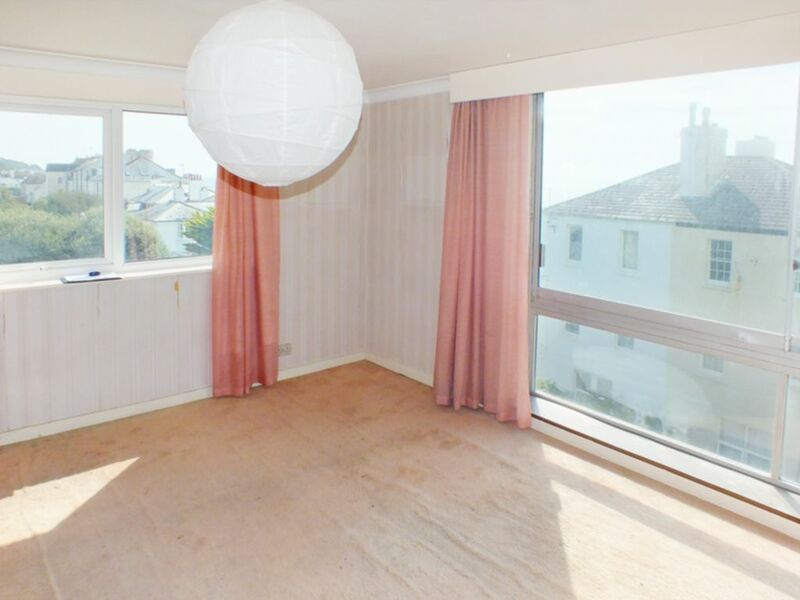 Double aspect south and east facing room with excellent further potential and with deep windows providing some excellent views towards the English Channel and Sandgate village, obscure glazed door to Hall. 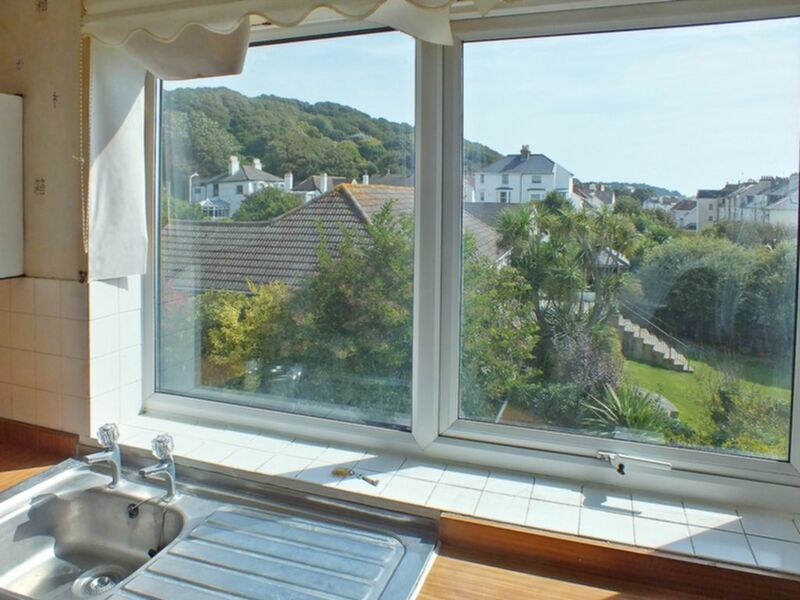 Double aspect windows with excellent views. 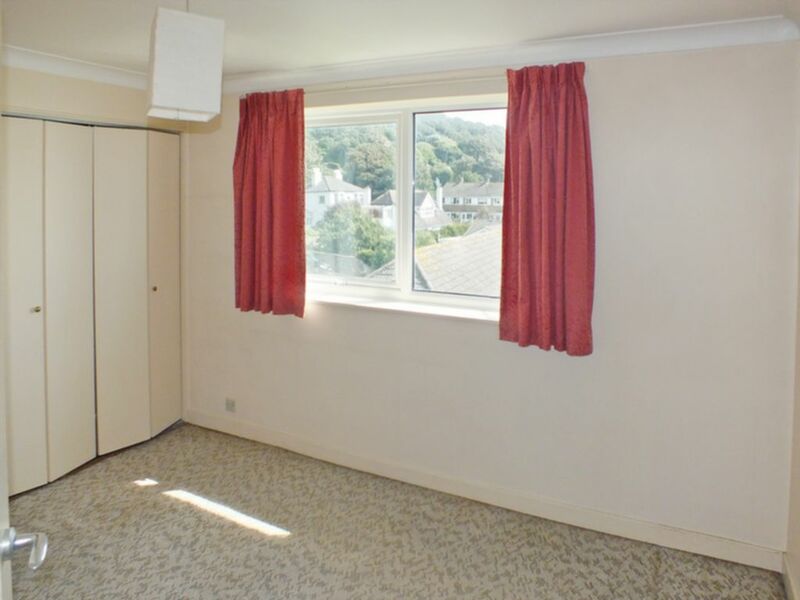 East facing views towards Sandgate village, two built-in double wardrobe cupboards. 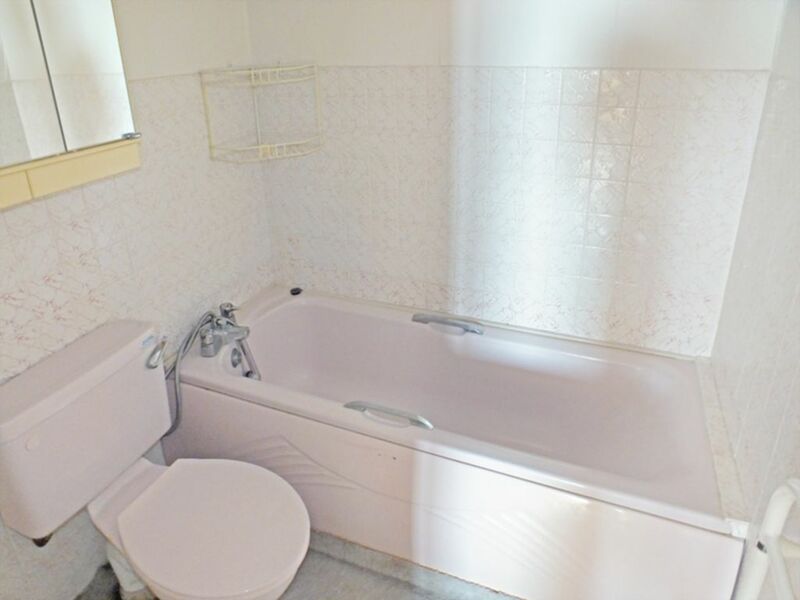 An internal room having coloured suite comprising panelled bath with mixer tap, low level suite, vanity wash basin with cupboards under, part tiled walls, electric towel rail. 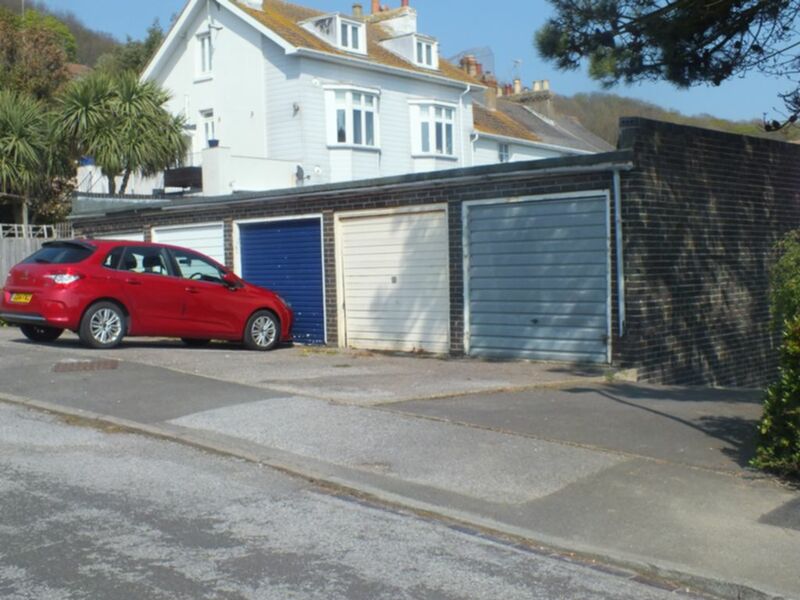 Garage en-bloc (the second nearest with cream up-and-over door) and with drive space to front. 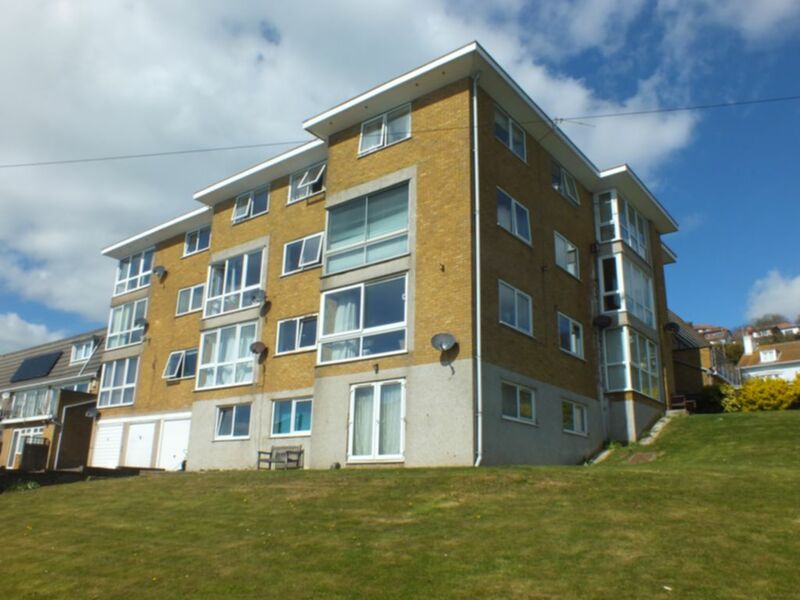 999 year lease which commenced in the 1970's.